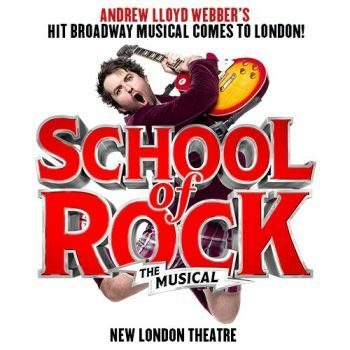 Book ticket and hotel packages for Andrew Lloyd Webber’s School of Rock theatre breaks, the story of how a rock comes to a posh American school. Based on the 2003 film starring Jack Black, School of Rock, the musical, is written by Julian Fellowes (Mary Poppins, Half A Sixpence, The Wind in The Willows, Downton Abbey) and Andrew Lloyd Webber (Cats, Phantom, Jesus Christ SuperStar, Joselph…). The story follows Dewey Finn, a failed, wannabe rock star who decides to earn a few extra bucks by posing as a substitute teacher at a prestigious prep school. Completely disinterested in academic work, Dewey decides to create his own curriculum, turning his class into a guitar-shredding, bass-slapping, drum-rolling, mind-blowing rock band. a whopping 5 stars and a massive thumbs-up for family entertainment. 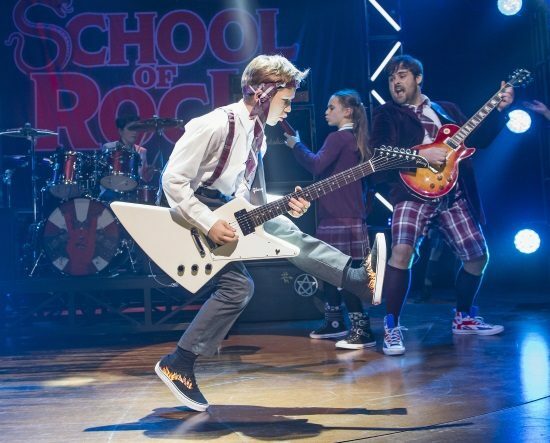 As well as all the original songs from the film, Lloyd Webber has composed 14 new songs which, with its sensational live kids’ rock band, is a loving testimony to the transforming power of music. To be honest I wasn't expecting much because I hadn't been a great fan of the film, but I was more than pleasantly surprised by the stage musical. In my opinion it worked so much better with songs and the fantastically talented children were the genuine stars. Only wish I knew which child cast we saw because I'd love to name them all as utterly awesome. A really, really good show which I am recommending to all friends who have teenage children - they will, just as those that were watching on the night, love it!! !